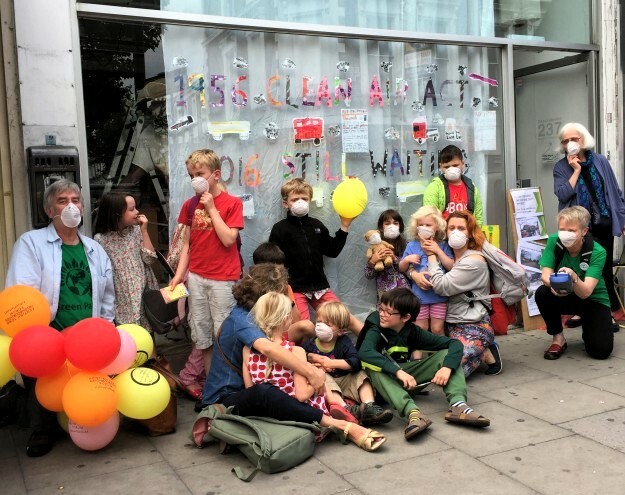 Photo: Residents and campaigners demonstrate for clean air in Camden. 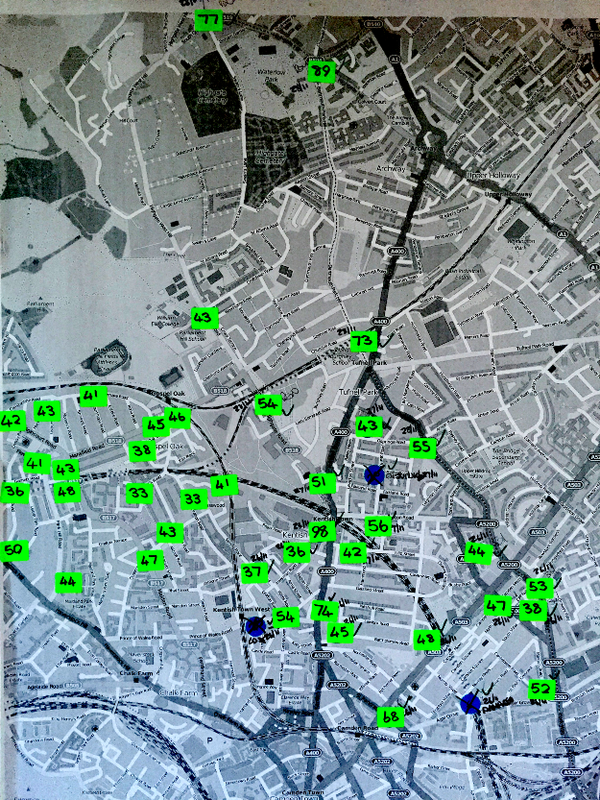 Photo: A 'working map' of Camden with annotations showing sites for air pollution monitoring. Dee Searle is a campaigner for clean air and she works with Camden Green Party. She has organised a number of citizen science projects to measure air pollution in Camden. Dee told us of recent events in Camden for clean air.